Dermalogica Moisturisers are vital to every skin care regimen, regardless of skin condition and do more than just moisten dehydrated skin. Dermalogica Moisturisers also help to protect the skin’s natural defences against the environment while controlling moisture loss from the skin. This becomes more important as we age. 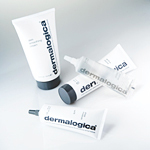 Dermalogica has a moisturiser for every skin condition from chronically dry and prematurely-ageing to skin with excess oil production and breakouts. Sheer Tint Moisture SPF15 Light/Medium/Dark – For daily use underneath or instead of concealer.